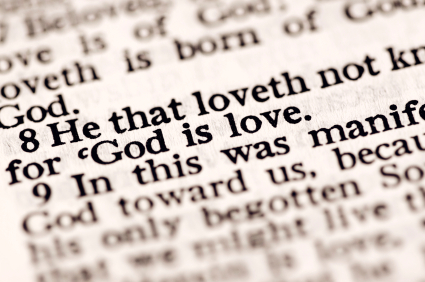 Biblical Love: What Does It Look Like? God calls us to be a people who love even our enemies. But sometimes it's hard to know exactly what that looks like. One thing that helps me love when it's hard, is to ask myself what's in the other person's best interest? For example, it is always good to encourage someone's positive qualities and look for ways to do so even if it's difﬁcult to ﬁnd something commendable (Hebrews 10:24). It is always in someone's best interests to pray for them, even sacriﬁcially through fasting or intercession for extended periods of time. The apostle Paul tells us that one of the characteristics of godly love is that it does no harm to a neighbor (Romans 13:10); therefore, we are careful with our tongue and our behaviors, even toward someone we don't like. We show respect toward someone, not because he or she is acting worthy of it, but because they are a fellow human being, created in the image of God, and we do not want to disrespect God's image in them (1 Peter 2:17; James 3:9-10). God's Word also tells us that it is never in someone's best interest for us to make it easy for them to sin. That is bad for them and harmful to their relationship with God and with us. Therefore, we should never sacriﬁce ourselves in order to allow someone to continue to sin, whether sinning in general or sinning against us. Many people get confused about what biblical love looks like in these instances, especially in marriage. For example, Joan continued to permit her husband to live at home despite his drunken rages and abusive behavior because she said, "I love him and I'm praying he will change." Of course Joan prays her husband will change, but is it in his best interest or does it give him an opportunity to change when she allows him to continue to sin with no consequences? Please hear this: the most loving thing you can do for someone who is out of control with sin is to allow the person to experience the consequences of his or her behavior. Proverbs 19:19 says, "A hot tempered man must pay the penalty; if you rescue him, you will have to do it again." It is only when we experience the pain and ugliness of our sin that we are most open and receptive to God and to our need to repent and change our ways. Otherwise, it's easy to continue to deceive ourselves into believing that our sin is not that bad. When we commit ourselves to love someone, we don't promise to look out for what's easiest for them or necessarily for what they want us to do, but instead, we look for what God says is best for them. In loving them that way, they may even become angry with us, but that's what God's love looks like toward us. He always acts in our best interest, even though sometimes what's best doesn't feel comfortable to us at the moment. C.S. Lewis wisely put it. He says, "Love is something more stern and splendid than mere kindness. QUESTION: I know God's word tells us to forgive, but how do you do it? I try, but I still feel angry and bad thoughts come into my head. How do I know when I've let it go?? ANSWER:Forgiveness is a decision not a feeling. It's a choice, so the process starts there. You must decide in your heart to work toward forgiving those who have hurt you or sinned against you. I ﬁnd that many people either forgive too quickly, before doing the emotional work they need to do in order to process and get rid of their hurt and anger, or they don't forgive at all because they have erected large, thick walls of bitterness and resentment. Jesus tells us to forgive one another, and that alone is a good enough reason to do it, but forgiveness is a good thing to do even for those who don't know Jesus or believe in him. Long before modern medicine studied the physiological effects of chronic anger, resentment, and bitterness on the body, God knew that harboring these toxic emotions could not only damage our health but also ruin our lives. He warns us to get rid of them promptly. God knows sin destroys us. It is not the sin that is committed against us that wields the fatal blow. Rather, it is our own sinful reaction to the things that have happened to us. Unresolved anger often turns to depression, self-pity, bitterness and resentment, and these things poison our body and our soul. A person ﬁnds healing through the process of forgiveness by both receiving forgiveness and extending forgiveness. That is why God is so insistent that we forgive. He doesn't want sin to ruin our lives. Please don't misunderstand what forgiveness is. 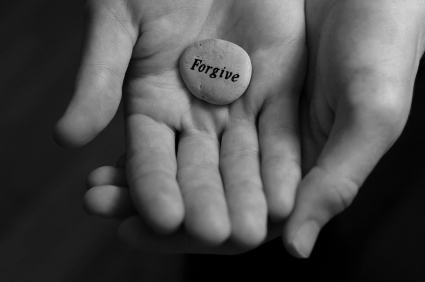 Forgiveness isn't excusing the offender or minimizing their offense. Forgiveness is your decision to cancel the debt they rightfully owe you. Many protest here and become stuck because they are rightly deserving of justice or an apology or some restitution for the offenses done to them. They don't want to cancel the debt owed because it feels so unfair to them. Yet, if they are waiting for the person to repent or apologize or show remorse, they may wait a very long time. In the Old Testament story, Joseph forgave his brothers for selling him into slavery. Joseph's obedience freed him to be used by God in Egypt. But Joseph never initiated reconciliation with his betrayers-nor did he expose himself to them when he ﬁrst saw them again. Why? He did not trust them. He was kind and gracious to them because he forgave them, but he tested them to see if they had repented and changed their jealous and self-centered ways. Joseph invited them back into relationship with him after they passed the test (see Genesis 42-46). Joseph's forgiveness and his brothers' repentance were both necessary to bring reconciliation and restoration to their relationship. For some of you, you may never see repentance from the person who hurt you. Sandy lived stuck in her past, angry that her father abused her. She refused to give up her anger until "he admits what he did and says he's sorry." When she confronted him and asked for an apology, he told her she was crazy and denied everything she accused him of doing. That left her waiting for something that may never happen. She allowed her father to continue to ruin her present and her future because he would not do what she longed for him to do. Sandy's anger and lack of forgiveness wasn't hurting Sandy's father. He lived selﬁshly just as he always did. It was Sandy's life that was hurt by her angry and bitter heart. Finally forgiving her father released Sandy from those toxic emotions. Her father will still have to give an account for what he did to Sandy, only it will be God, not Sandy who will judge him. In my own life, forgiveness usually comes in steps and cycles. It is not a one-time, over-and-done-with event. First, I decide to forgive, exercising my will. Then I begin the process of letting go, releasing the anger, the hurt and my desire to retaliate. I appeal to God for justice and turn the situation over to him. I also ask him to help me see my offender and myself differently. This is very helpful. When God shows me my own sinful nature and the things I am capable of doing, then I can have some genuine compassion for my offender because, but for God's grace, I may have done the same thing. I no longer want to see my offender only as someone who did something wrong, but also as someone who has done some things right. I no longer want to see him or her as a victimizer, but as a person with weaknesses of character and a sinful heart, just like me. When hurtful memories surface and I'm tempted to dwell on the wrongs done to me, I continue this process and keep at it until the negative emotions and thoughts are no longer in the front of my mind. They are fading and moving to the past, right where they belong. To practice forgiveness, walk regularly through these four steps: Decide-Begin-Continue-Keep at it. As we do this, we are changing. We are no longer deﬁning ourselves by what has happened to us, but we are instead seeing ourselves by what God is doing in us. Our healing becomes a powerful conduit for God's love and grace to ﬂow to others, and we can honestly say that what Satan meant for evil, God is using for good. Defeating Depression by Leslie Vernick. Plus see winners of previous give away! If you are walking through the dark valley of depression or know someone who is, you are not alone. One woman in eight will experience clinical depression in her lifetime. The good--no, great--news is that there is hope. Real hope for permanent, life-changing wholeness. Just email your name to assistant@leslievernick.com by Monday, August 20th for a chance to win one of two copies! Congratulations to Sylva N. and Tish J. who were the two winners of the free coaching session with Leslie. The seminar was truly transformational as it met each of the attendees with a specific challenge to grow and heal. I have spent the last three days working with individuals who are ready and willing to take the next steps and who are looking to better apply the seminar to their lives. It was a real WIN!